Again I am writing about installing ShixxNOTE 6.net Build 138 on Windows 10 and first problem which will occur. 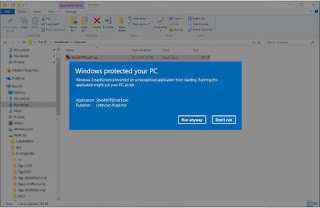 It will happen after you unzip downloaded ShixxNOTE program zip file and unzip it and then when you click on “ShixxNOTE6netT.exe” program setup file to start setup. 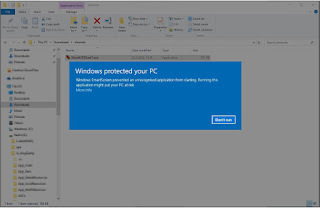 Immediately you will get this screen on your computer from Windows. It say that “Windows SmartScreen prevented an unrecognized application from starting…” and almost 90% of users will click on “Don’t run” button because they trust Microsoft. But if you analyze more that Windows dialog you will see link “More info”. I know that this is annoying. But if you want ShixxNOTE 6.net to run on your computer(s) you must trust me and click on “More info” link. After you click it you will get second dialog from Windows SmartScreen. 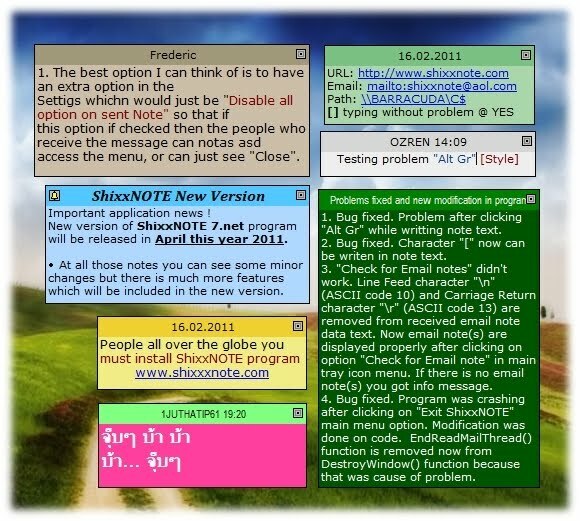 Suddenly you will see Application name, Publisher and most important button “Run anyway”which will continue setup of ShixxNOTE 6.net program. Only if you do like this you will be able to install ShixxNOTE 6.net on your computer(s). 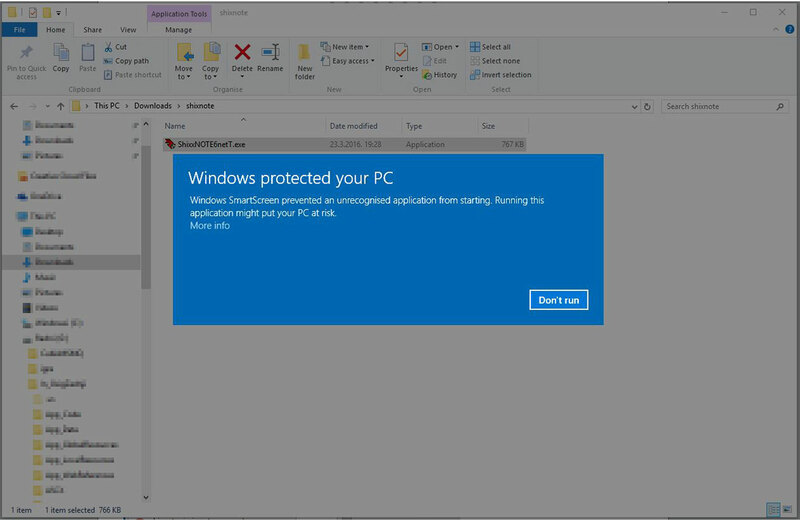 Please trust me you will not install anything malicious. Before on Windows XP, Windows Vista and Windows 7 you didn’t have to do this because there was not this annoying screen. So friends till I figure how to avoid this SmartScreen dialog please click on “More info” and button “Run anyway”. I know I loose more customers because of this but Microsoft is in charge.